Many businesses today fail because of an inability to continuously generate new opportunities such as gaining access to new customers, new leads, and new business partners. Opportunities are essential for the sustainability of any business. However, many people claim that such opportunities are few and far in-between. I’m sure you’ve heard of the phrase “opportunities are hard to come by these days”. This is a convenient excuse that many failed business owners like to comfort themselves with. You see, if they only had the right mindset, they would have realized that the opportunities for their business are actually abundant – it is not a matter of a lack of opportunities, but rather a lack in their own capability to search for, recognize and capitalize on the opportunities that are already there! 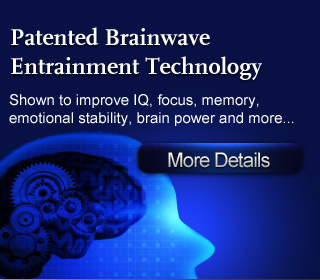 With today’s advanced Brainwave technologies, we can now easily train our minds to develop the same opportunity-seeking mindset that millionaires all over the world possess. Finally, you’ll be able to find so many opportunities for your business that you won’t even have the time to take advantage of all of them! Are you having trouble looking for profitable ventures for your business? Would you like to increase your business by two-fold or three-fold? …how about more? Have you always wanted to develop the same opportunity-attracting mindset that millionaires all around the world possess? 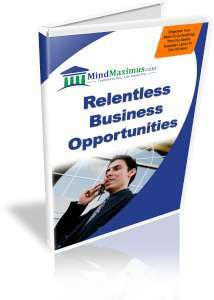 No reviews on I04 Relentless Business Opportunities so far.